The capital city of Hungary, already famous for its history, art and architecture, seems to be breeding its own brand of urban art these days. Photos and commentary under hashtags like #streetart related to Budapest are popping up daily on social networks like Twitter and Instagram, in particular as the summer tourism season gets rolling. 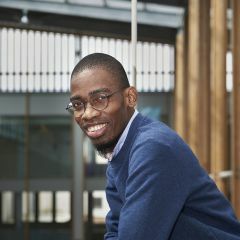 Many have already heard of the French urban artist Invadera who based much of his art on a particular arcade game in the late 1990s and left his mark on urban artists throughout Europe. His then unusual form of artistic expression, street art, balanced on a high wire between guerilla activism and mainstream art. The artist then also mapped many of the world's cities that cherished and bred this new art form. At the time, Invader, named after the arcade game from the late 1970s that was his inspiration, also included Budapest on that map and labeled it with capital letters as a sign that, over just a few years after the fall of the Eastern block, a new, playful, youthfully rebelious and alternative Budapest was born. 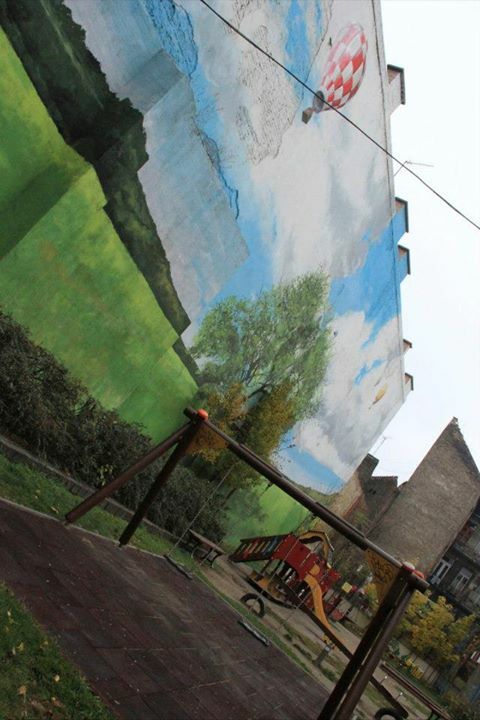 Mural in Budapest playground; photo courtesy of Alternative Budapest. 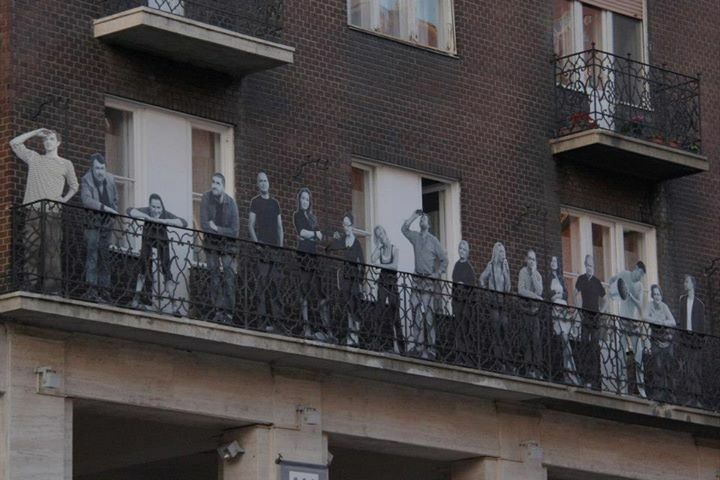 A balcony in a Budapest neighborhood; photo courtesy of Alternative Budapest. 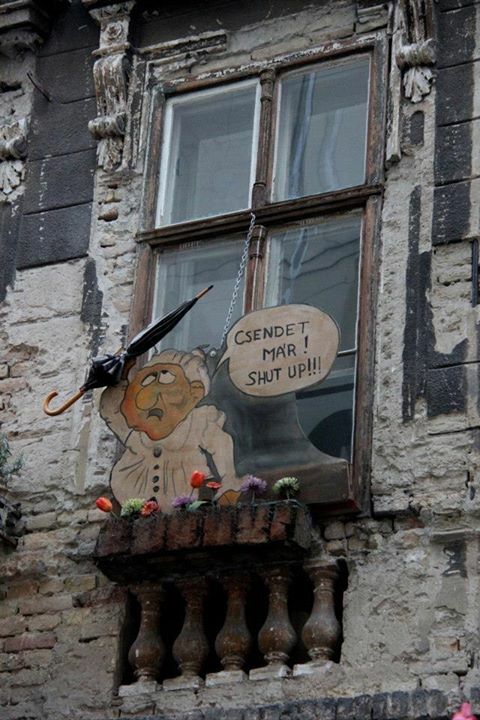 Creative Budapest window art; photo courtesy of Alternative Budapest. Aside from users’ posts on Facebook that include these images, Twitter and Instagram users also seem to be doing some pro bono positive advertising for the alternative side of Budapest. What might set Budapest apart more than other cities with a developing street art scene, however, is its true Hungarian feel to it. 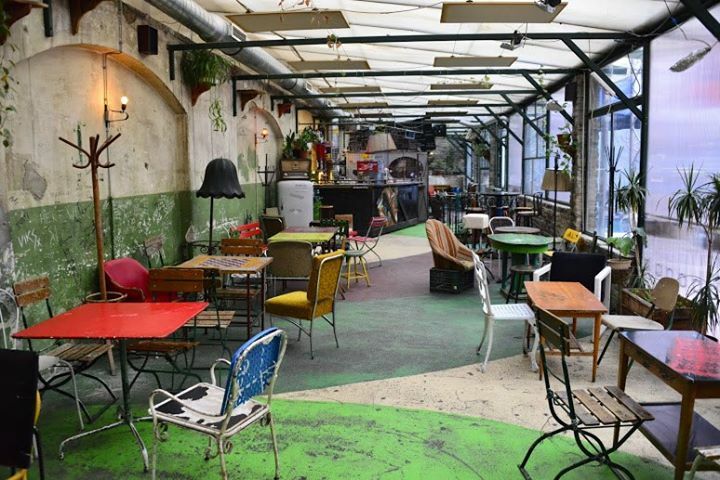 Called “rom kocsma“, or “ruined pubs”, they are in fact pubs and cafes created in the ruins of old, abandoned buildings, in a variety of retro and highly eclectic urban styles. 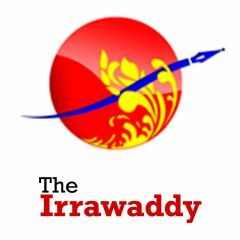 In recent years, these pubs have almost invaded the Pesta side of the city and have become one of the greatest urban art details to stand out and attract the attention of tourists. A “ruin pub” in Budapest; photo courtesy of Alternative Budapest. If travelers headed for this quaint, old part of Europe are looking for something new, exiting and above all fun and interactive, Budapest certainly seems to have plenty of that to offer.